Also known as the Royal Forest Park of Kandy, the Udawatta Kele Sanctuary is located on the hillside behind the Temple of the Tooth Relic. 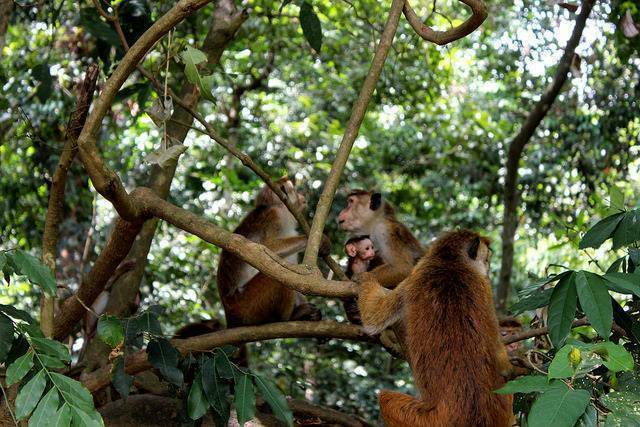 Being a very populated city this forest reserve serves as a vital Bio Reserve for Kandy, and extends to 257 acres. It is a home to a huge variety of plants and animals and offers lush green paths for quiet explorations. This densely forested sanctuary is full of life. The presence of huge trees blocks most of the sun and provides a cool ambience. This park is famous as a bird-watcher’s paradise since there are over 80 types of endemic and threatened species found here. Most of the mammals found here are nocturnal and thus you are not in danger of running into wild boars. Interestingly, the Udawattekele Sanctuary is not just a sanctuary for nature but also for religion. You can easily spot a number of hermitages roaming the place and there is also a cave sanctuary built for such people who have decided to renounce the world and live their days in the woods. This area is also very popular for cycling and walking. It is surprising to find such a forested area, with a calming atmosphere located within the second biggest country in Sri Lanka. If you are tired of the noise of Kandy visit this place for some pristine experience!